If you are an Indigenous youth who isn't accessing UNYA's programs and services, our Aboriginal Youth Worker is working to reach out to you so that you know what is available, know that you are welcome and valued here, and feel comfortable accessing programs and services. If you are facing barriers that keep you from participating, she'll work with you to address and remove those barriers as much as possible. Most of our Aboriginal Youth Worker's time is spent working with local schools and community centres, engaging in advocacy and developing partnerships to offer programs specifically for Indigenous youth. 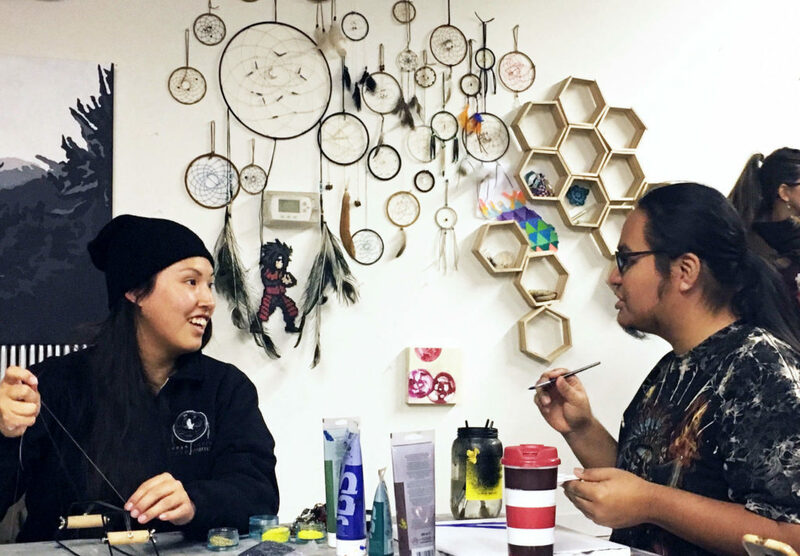 To make sure that programming is culturally relevant and appropriate, she incorporates cultural teachings from the medicine wheel, the Circle of Courage, and local First Nations. Our Aboriginal Youth Worker also provides non-judgemental one-to-one support, cultural and recreational activities, and programming that will help you develop your skills and leadership abilities. Check out our online calendar for regular programming and activities with our Aboriginal Youth Worker. New programming and special outings happen often, so check back regularly! You can also call or email her directly through the contact info below. UNYA’s Aboriginal Youth Worker also acts as a liaison between UNYA, local schools, and other community organizations, networking with diverse partners. She works directly with community workers, social workers, and families to prevent youth from gravitating to the streets or dropping out of school. Community development activities are undertaken to strengthen partnerships and enhance community capacity to meet the needs of Indigenous youth. If you have questions about any of our Aboriginal Youth Worker’s programs, or if you are interested in exploring partnership opportunities, get in touch directly using the contact info below.